Activated charcoal is a natural, porous substance believed to help draw dirt, bacteria and oil from the skin. Charcoal masks help the pores appear smaller and the skin more radiant while reducing breakouts. Charcoal masks offer benefits for those with oily skin, acne-prone skin, as well as for people with dry or sensitive skin. You can make your own charcoal mask at home using natural ingredients. Charcoal binds with dirt and detritus, extracting them from the pores. When the pores are clean and free of build-up, they appear smaller in size. Build-up on the surface of the skin can cause it to appear dull. Charcoal masks function like a magnet, attracting dirt, bacteria, oil and dead skin cells through adsorption. After use, the skin appears smoother, cleaner and more radiant. Charcoal helps to gently exfoliate dead skin cells and reduce the sebum and bacteria responsible for acne, consequently resulting in fewer breakouts. For those whose skin tends to be oily, regular charcoal masks can adsorb unwanted grease to keep the skin mattified and shine-free. Charcoal masks are ideal for balancing greasy skin, but are equally effective for dry, sensitive skin that is prone to breakouts. Regular application of a charcoal mask specially formulated for dry skin can reduce blemishes and maintain a healthy glow. These masks are ideal for those seeking the cleansing experience of charcoal, while providing the skin with comfort and nourishment. Ideal for those with sensitive skin, Origin’s formulation uses bamboo charcoal, bentonite and kaolin clays to extract grime from the pores. Myrtle leaf extract provides the skin with nourishing antioxidants, while lecithin acts as a natural emulsifying agent. Mask is rinsed rather than peeled off after use, providing comfort for people with sensitive skin. Users report that their faces feels soft and clean after use. Some users experience breakouts several days after use. Those with extremely sensitive skin may find the mask slightly drying. Seoul to Soul guarantees gentle exfoliation, safe for even the most sensitive skin. Charcoal is teamed with bentonite and kaolin to shift dead skin cells and cleanse grime from pores. Witch hazel acts as a natural astringent, helping to tone and freshen skin while killing the bacteria that cause acne. Rapid application: mask can be rinsed off after ten minutes. Pores appear smaller after regular use, and skin tone appears more even. Some users find the fragrance unpleasant. Results may take several weeks to become apparent. Oily skin (seborrhea) occurs when oversized sebaceous glands in the skin produce too much sebum, or oil, causing the skin to appear shiny. 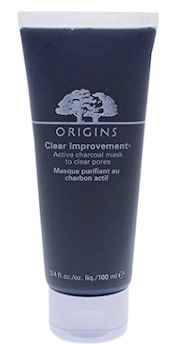 Charcoal masks provide a natural method of adsorbing oil. The formulations listed below help pull excess grease away from the skin without stripping it of essential moisture. For those with stubbornly greasy skin, Clinique combines a mask with a scrub. This dual-action formula is first applied as a mask. After the mask turns light blue, it is gently massaged into the skin with warm water as a deep exfoliating scrub. Natural silica beads help to gently slough off dead skin cells. Gentian root extract helps to brighten the complexion. Users note their pores appear smaller after use. A slightly more expensive product. Some users experience slight irritation following use. AsaVea’s formulation uses activated bamboo charcoal powder to sponge excess oil from the face. The peel-off formulation also helps to extract blackheads and detritus from the skin’s surface, leaving it feeling extra clean and smooth. Silicone brush allows for easy and clean mask application. Polypeptides help to plump and nourish the skin. Some users experience discomfort when peeling the mask off. Some users find it difficult to spread the mask evenly across the face. Acne and blackheads are caused in part by bacteria and the build-up of dead skin cells which block pores and hair follicles. 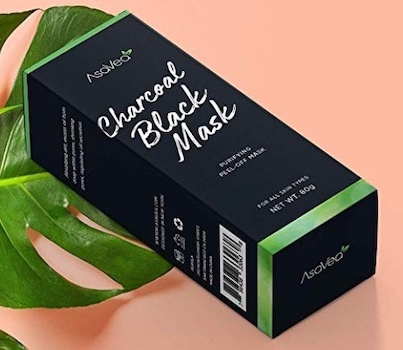 The most effective charcoal masks for those with acne work to cleanse and release build-up from within the pores, and integrate anti-inflammatory, soothing extracts to calm inflamed pustules. Elizavecca’s unique formulation bubbles into a foamy lather five minutes after application. The bubbling action is caused by a proliferation of oxygen gas which helps kill bacteria and push dirt out of the pores. Regular users claim that the mask provides them with distinctly brighter skin. Green tea extract in the mask offers antioxidizing, anti-aging and anti-inflammatory benefits. Lavender extract helps reduce redness and blotchiness. Collagen leaves the skin feeling plump. Some users may find the fragrance causes irritation. Some users note that the mask feels more like a deep cleanser. This mask can also function as an exfoliating scrub. The activated charcoal lifts dirt and oil from the pores when applied as a mask. For those looking for a more intensive cleanse to eradicate acne, the mask formulation contains black sugar granules to polish dead skin cells from the skin’s surface. A cost-effective but potent option. May initially cause breakouts, but they are generally less inflamed and subside quickly. For those with sensitive, acne-prone skin, the exfoliating aspect of the mask may cause irritation. In order to enjoy the benefits of activated charcoal for your skin, it’s crucial that you apply the mask properly. Careful application also helps to protect your skin from irritation. Note that if you haven’t yet used a charcoal mask, allergy testing a small spot on your skin may be a good idea. Cleanse or gently exfoliate your skin before applying the mask. This ensures any make-up or pollutants sitting on the surface of the skin are removed so the mask can penetrate as deeply as possible. Apply the mask evenly in a thick layer, avoiding the eyes and lips, and leave on for the recommended amount of time. Removing the mask too early may limit its efficacy, while leaving it on for too long may dry your skin out and cause redness. Wash or peel the mask off carefully. Remove every last trace, using a warm washcloth and gentle cleanser if necessary. Hydrate the skin with a gentle facial moisturizer or oil. Activated charcoal is the key active ingredient of these masks, with its porous texture ideal for attracting unwanted dirt, bacteria and oil from the skin. Purchase a good quality charcoal powder to use in your formulation. One half-teaspoon is usually sufficient for one mask. Bentonite or kaolin clay powder offers extra cleansing support, binding to impurities. Bentonite, in particular, is considered a particularly therapeutic healing clay for the skin. Add one half-teaspoon for one mask. Botanical extracts such as lavender, green tea, and chamomile can offer anti-inflammatory qualities to help soothe the skin. They also impart a pleasant, natural fragrance. Use several, sparing drops. Adding liquid to bring your mask to the appropriate consistency before spreading it on your face is the final step. Coconut oil offers moisturizing antiseptic qualities, while goat’s milk offers essential fatty acids. If you’re using oil, one half-teaspoon will suffice, and if you’re using water or milk, try several teaspoons. Those who use charcoal masks regularly find that their skin appears cleaner, more radiant, and is less prone to breakouts. While there is still a lack of clinical data to support the efficacy of activated charcoal in skincare, charcoal is recognized as a natural detoxifier. 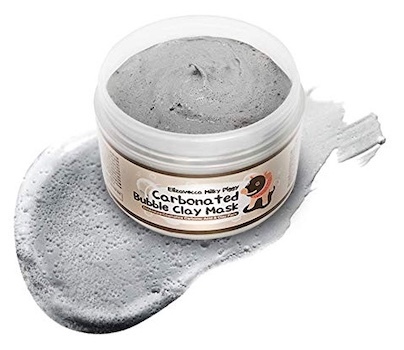 Charcoal masks offer benefits for individuals of all skin types; it is essential, however, to find a formulation with high-quality ingredients. Consulting with a dermatologist can help you determine if you might benefit from including a charcoal mask as part of your skincare regimen.